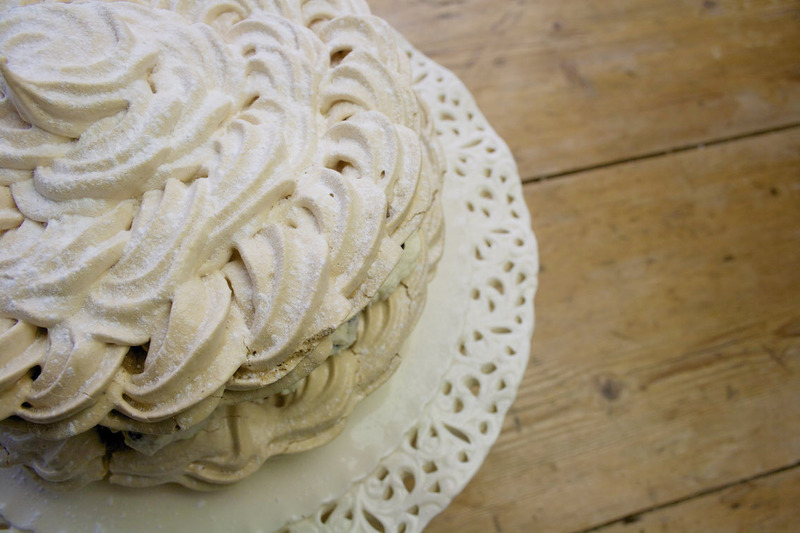 gently melt the white chocolate and set aside whilst you whip your cream into glorious thick billows, then gently combine the cream and the chocolate.. it can tend to go a bit ‘cottage cheesy’ but it still tastes amazing! The “diva” would have been delighted! Oh my!! SO pretty, great photos – I want to dive right in! 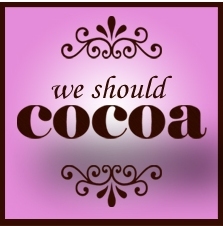 Brilliant idea for the Blackberry/Chocolate theme, thanks for linking up with We Should Cocoa! this looks seriously decadent!! must try it! That truly is stunning Dom – looks like a work of art! 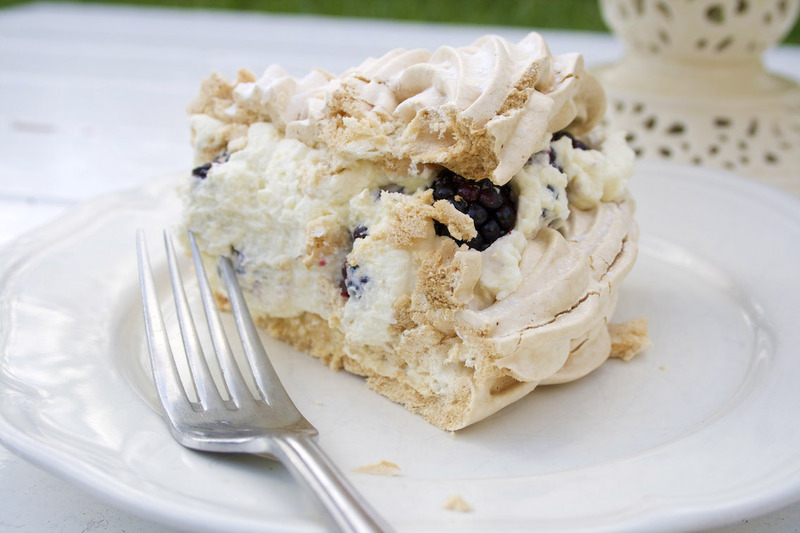 What is not to love about Pavlova indeed?! 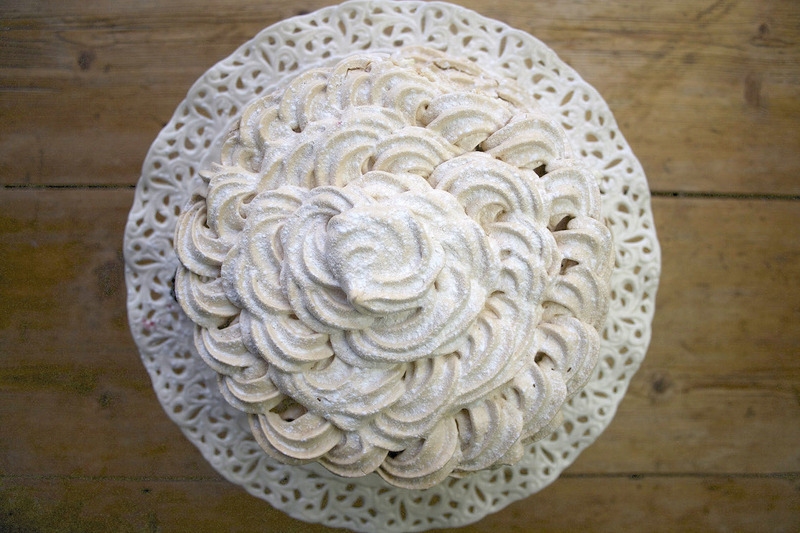 For someone who has a poor relationship with egg whites, those meringues are perfect! Beautiful piping!!!! This looks amazing. I love the piping, it looks regal! Wow Dom that is gorgeous! Love the piping – you are very creative. Hope all is well across the pond! 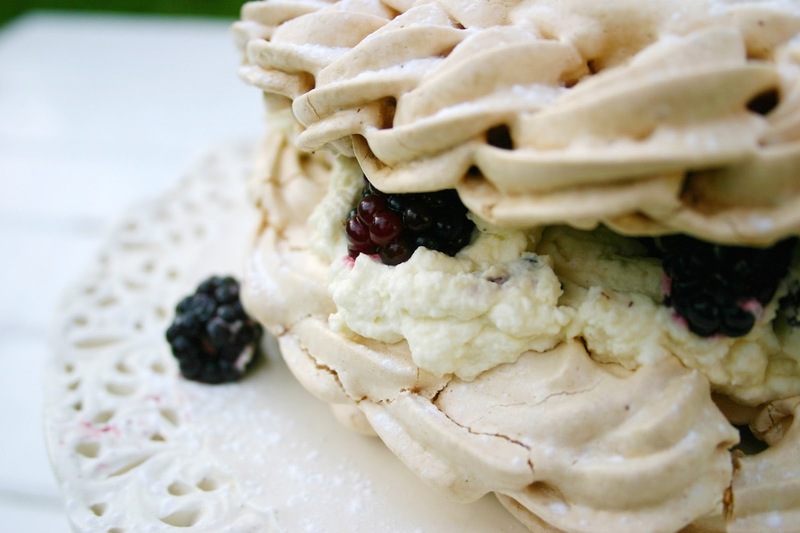 You're right – whipped cream hides a multitude of sins – pavlova is something I've become very fond of when we have people round: unless you're dealing with an egg allergy, or the sugar free brigade, it's a good dessert for people with 'intolerances' too! Just stop saying how easy roulades are to make, they just aren't! that's so pretty! bet it tasted pretty darn good too…. 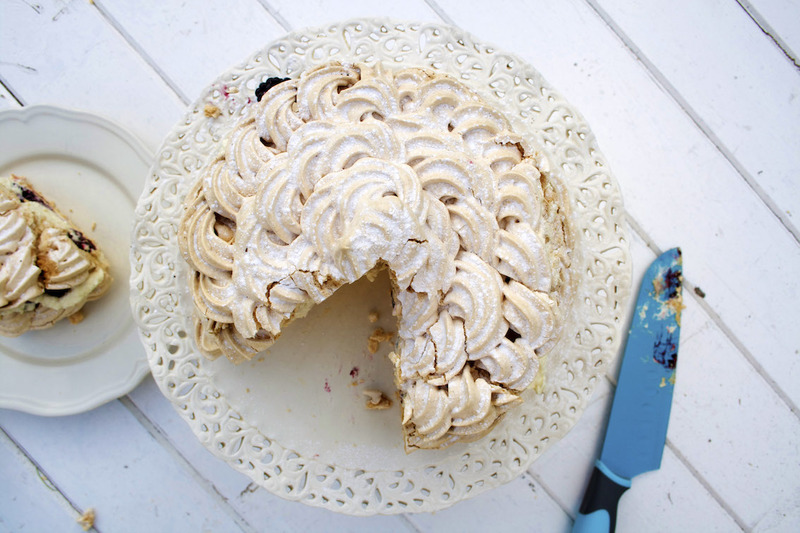 Mm, that's one awesome looking pavlova cake! So pretty! And I love the flavour combination. Am definitely bookmarking this one!! Thank for share. I will try to make it. but now i have a new repice. How yummy this is. Your cake looks like you are an artist. Thank you very much for this awesome post! lovely like this post .I have tried to make it in my favorable kitchen . it is a delicious recipe . I think it will be better to use cookware set to make this type of cake . I also try to make it by using cookware set because it helps not to cling with utensils and gives a proper shape for decoration .proper decoration helps for eating .